Following a blistering performance on Friday, April 15 at the F.M. 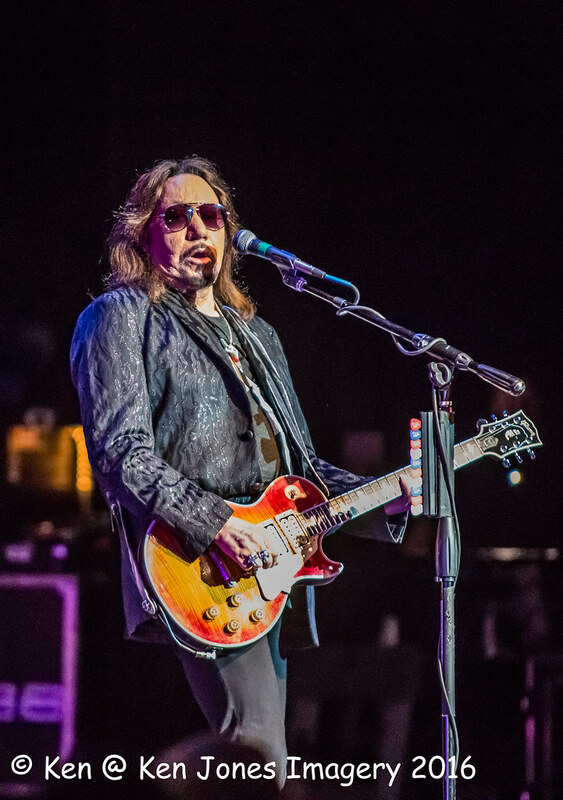 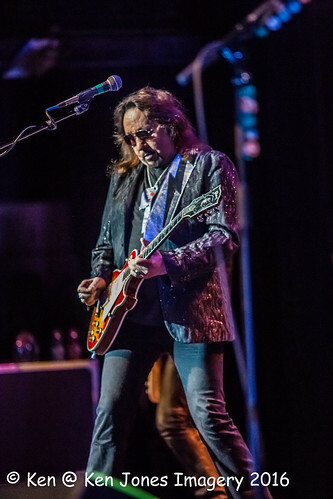 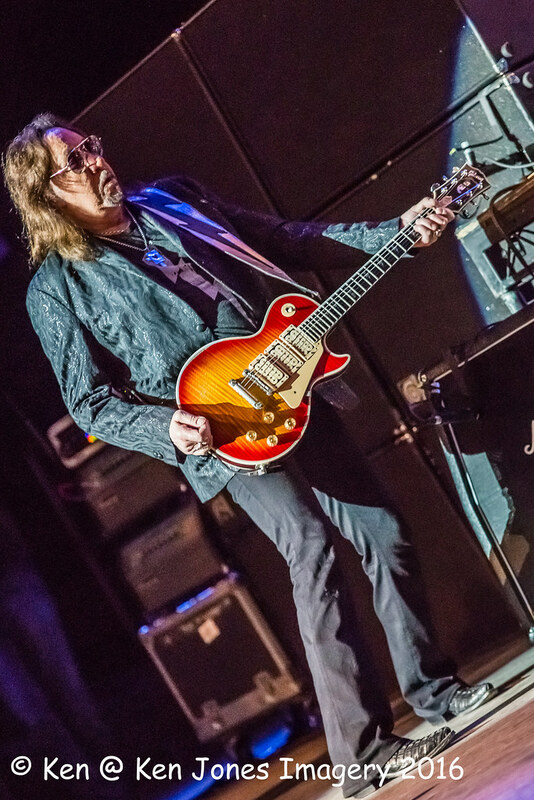 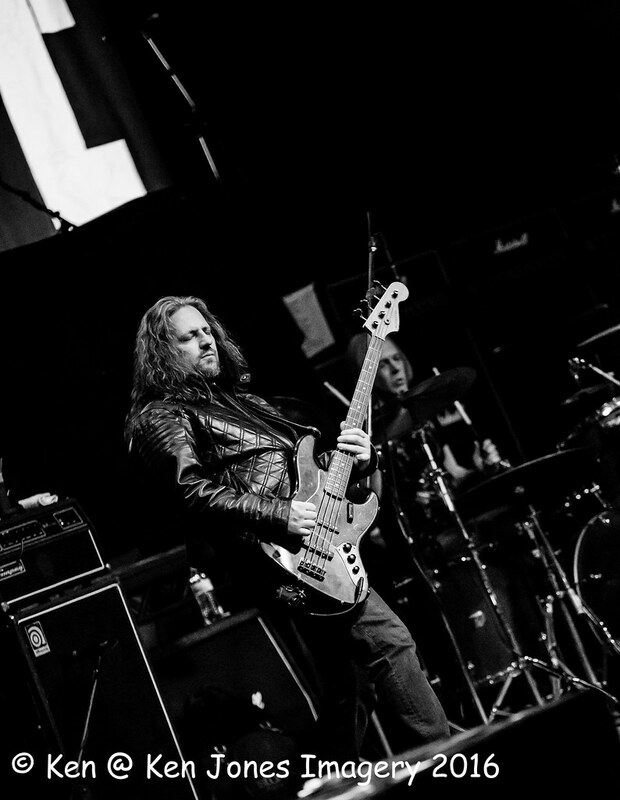 Kirby Center for the Performing Arts, former KISS guitarist Ace Frehley ended up at the Wilkes-Barre General Hospital suffering from exhaustion and dehydration. 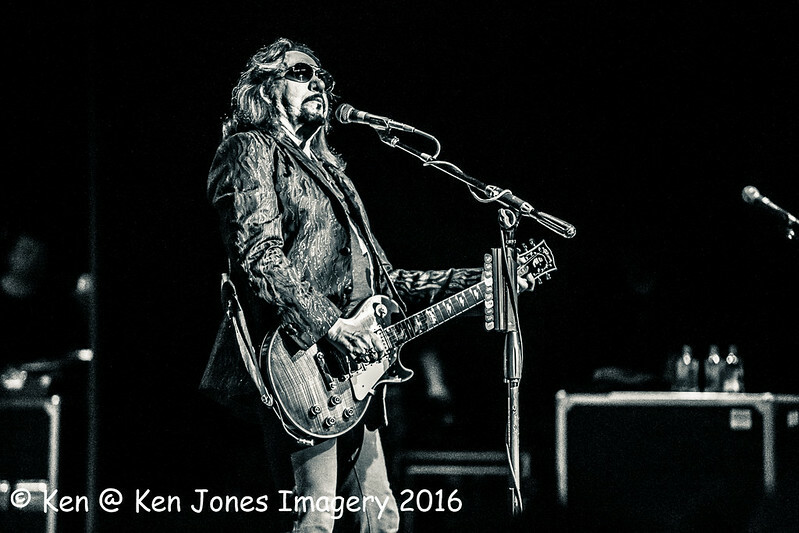 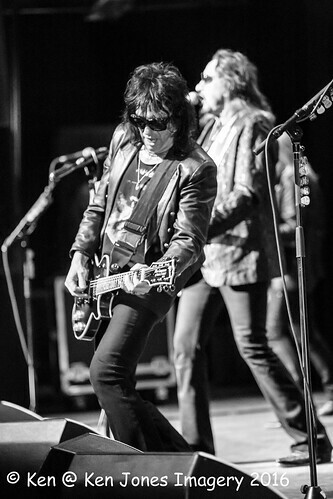 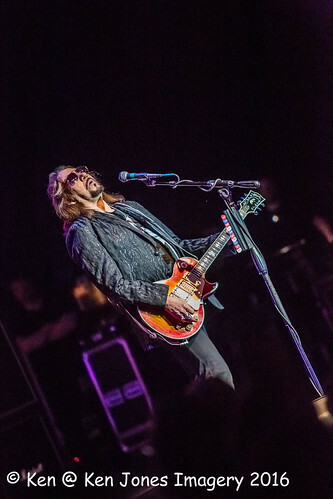 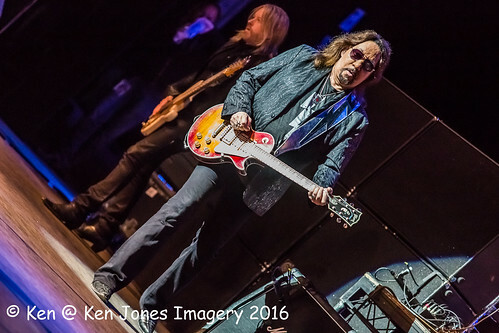 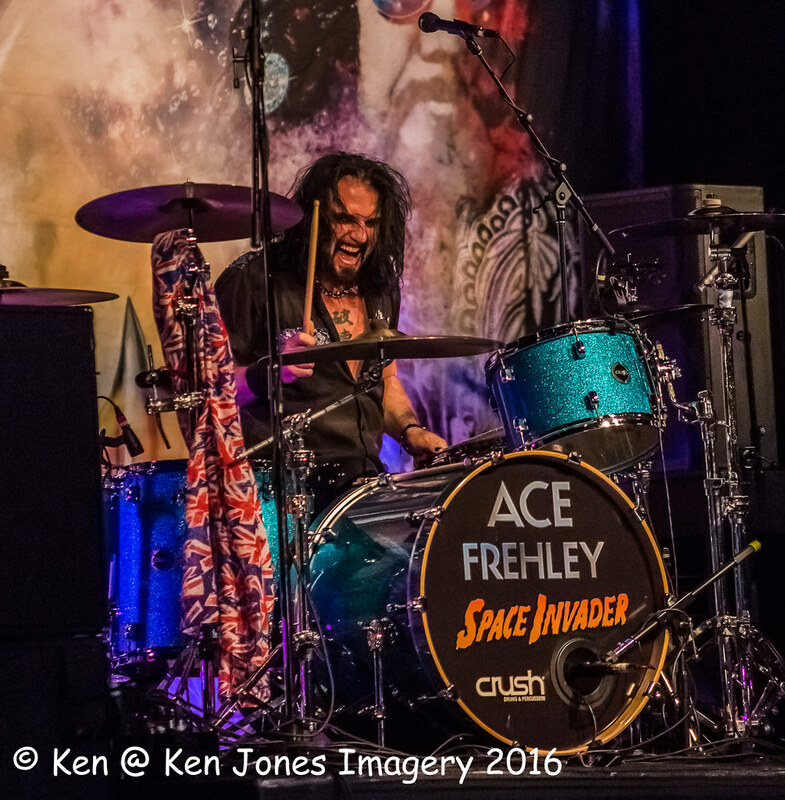 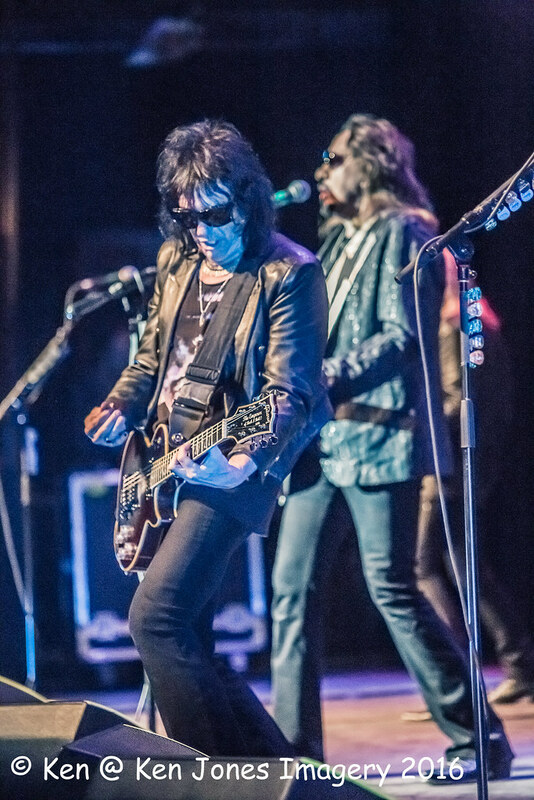 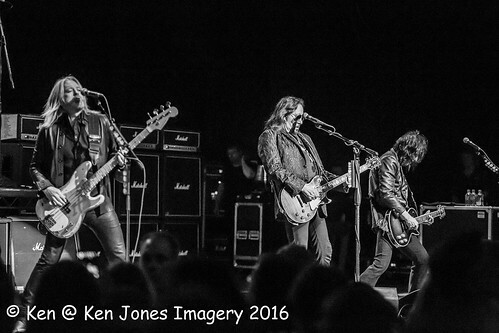 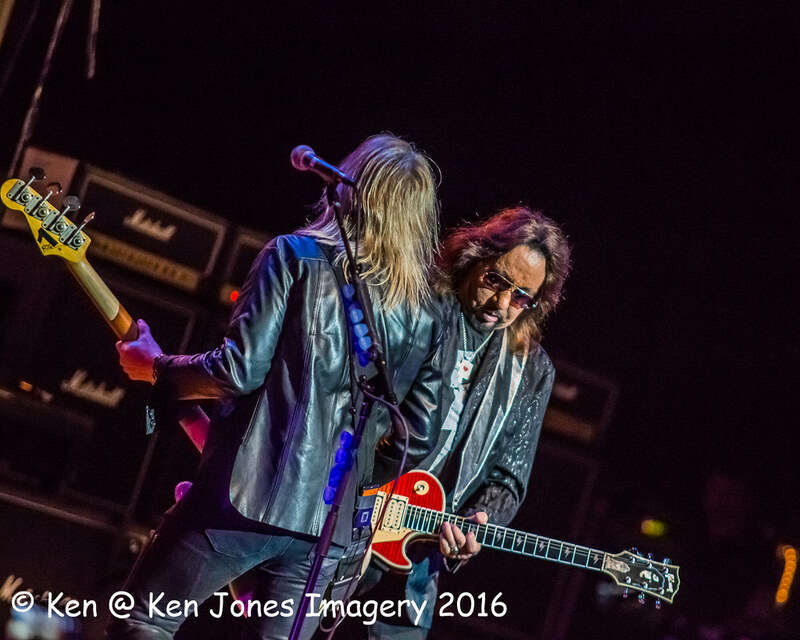 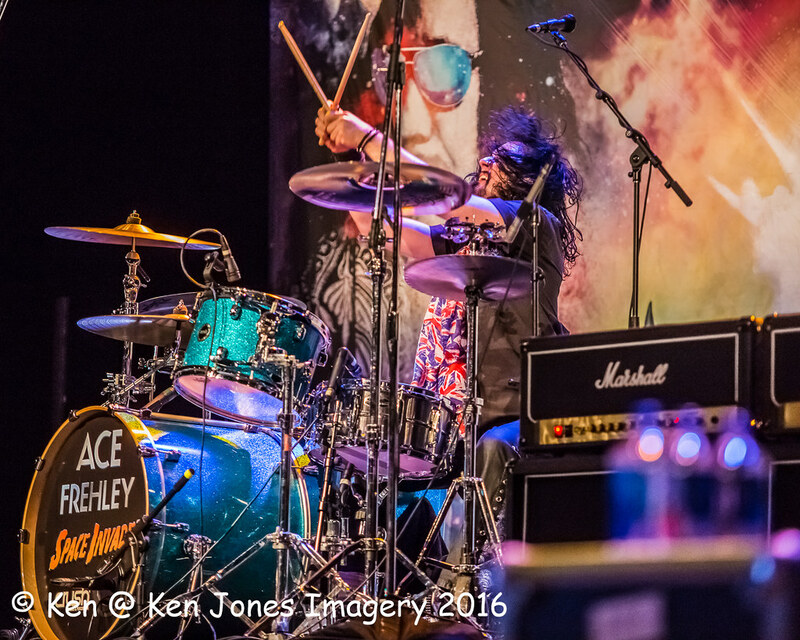 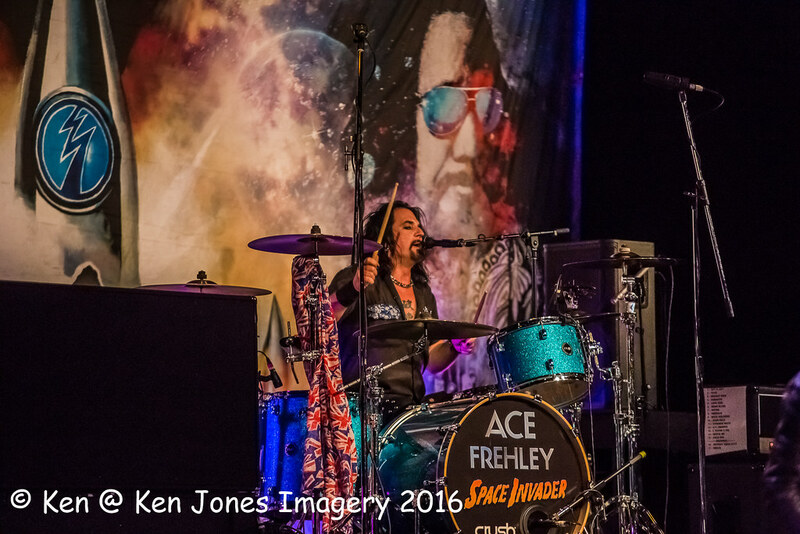 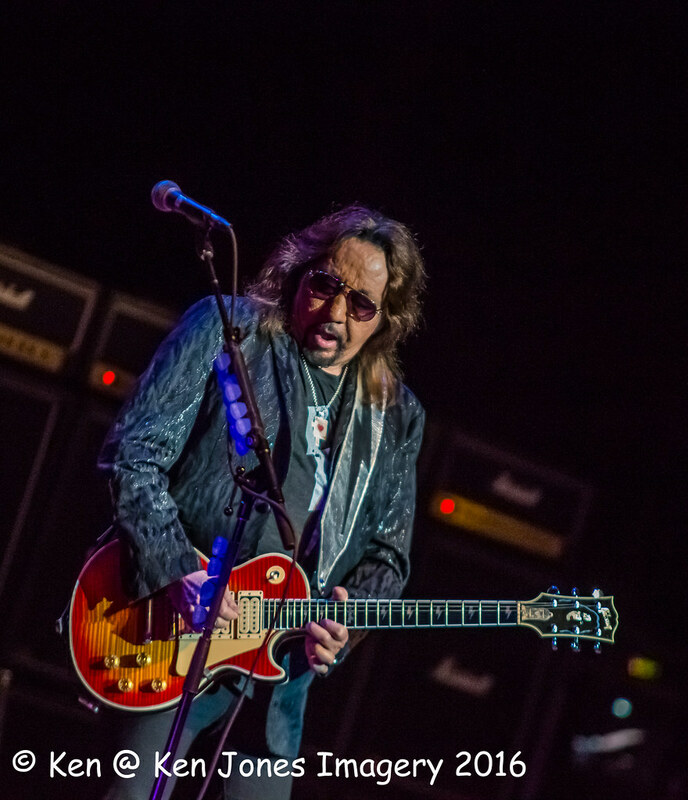 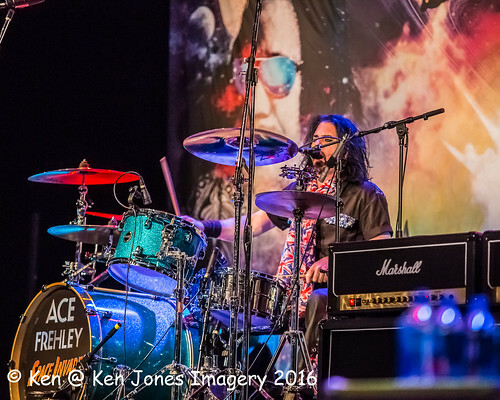 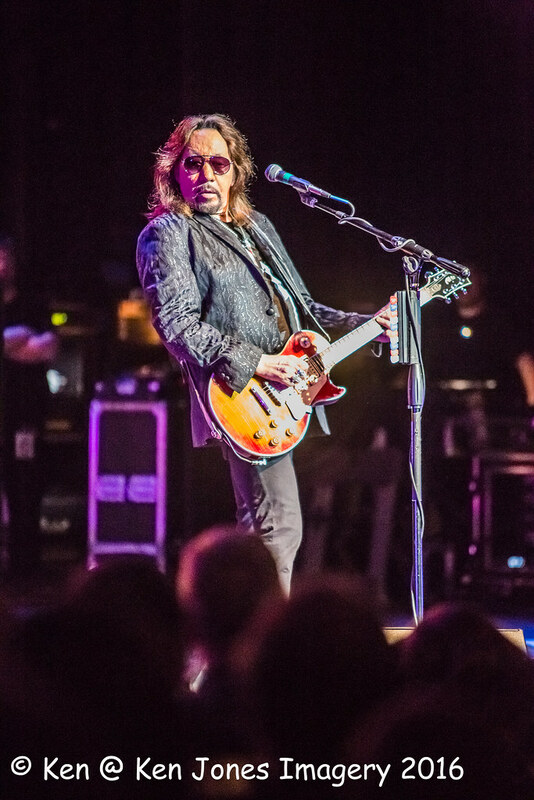 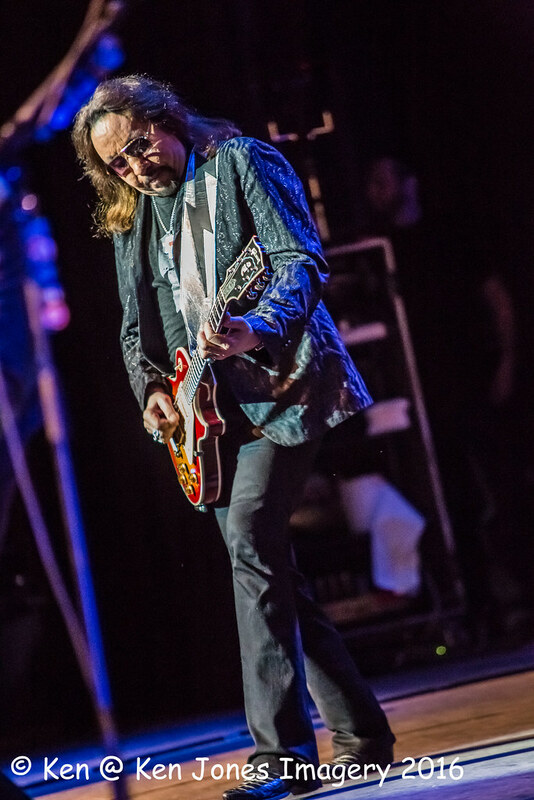 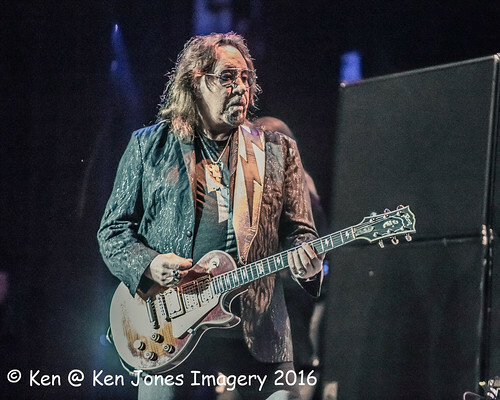 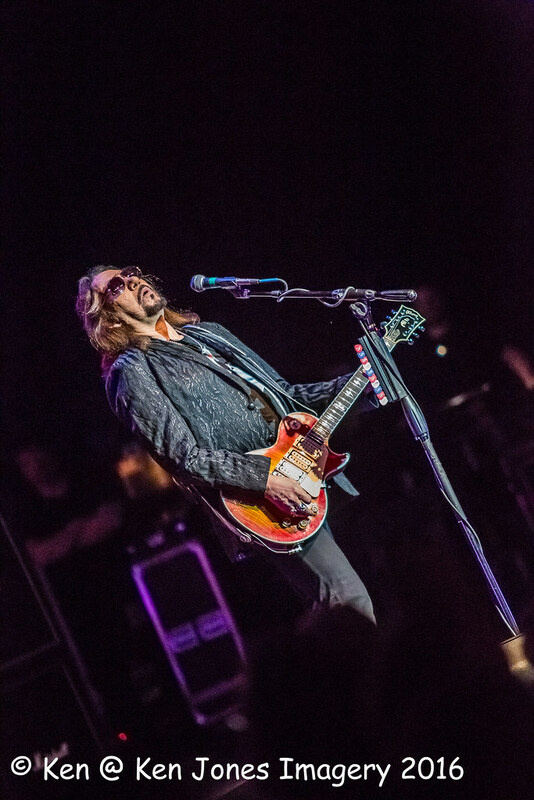 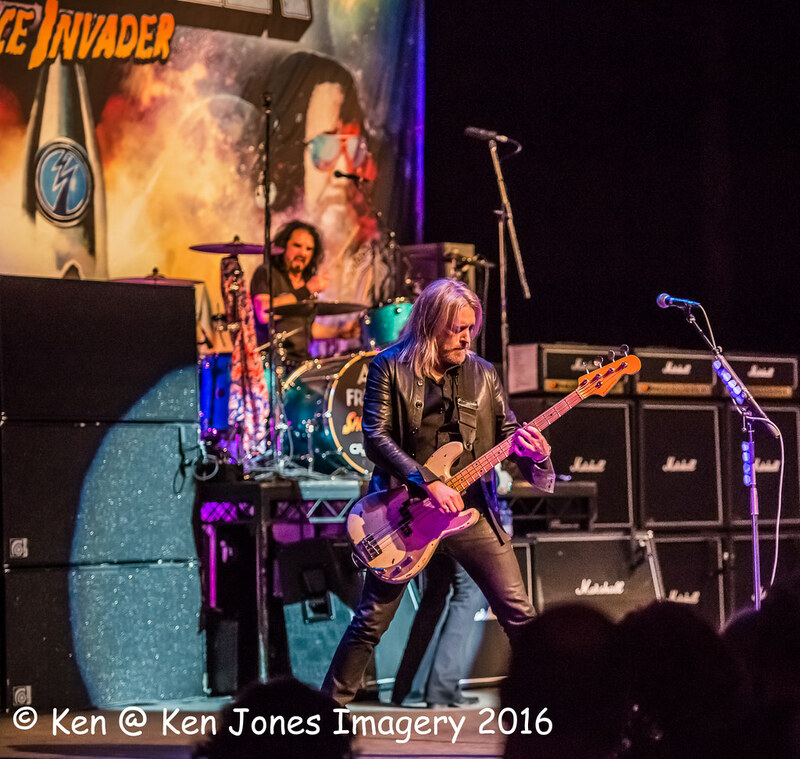 Frehley, who will turn 65 on April 27, played for 80 minutes at the Kirby Center, which was his 11th concert of the month. The mini-tour’s finale, a sold-out show on Saturday in Poughkeepsie, New York, was postponed as the guitarist recuperated in Wilkes-Barre. 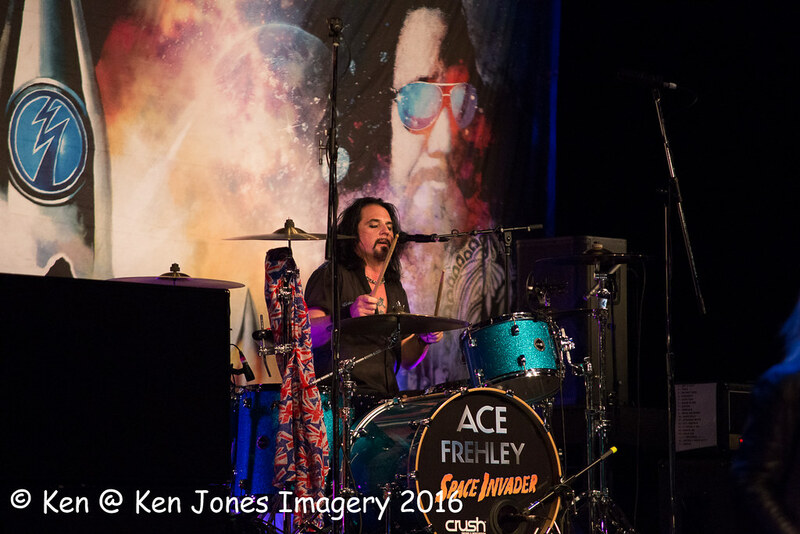 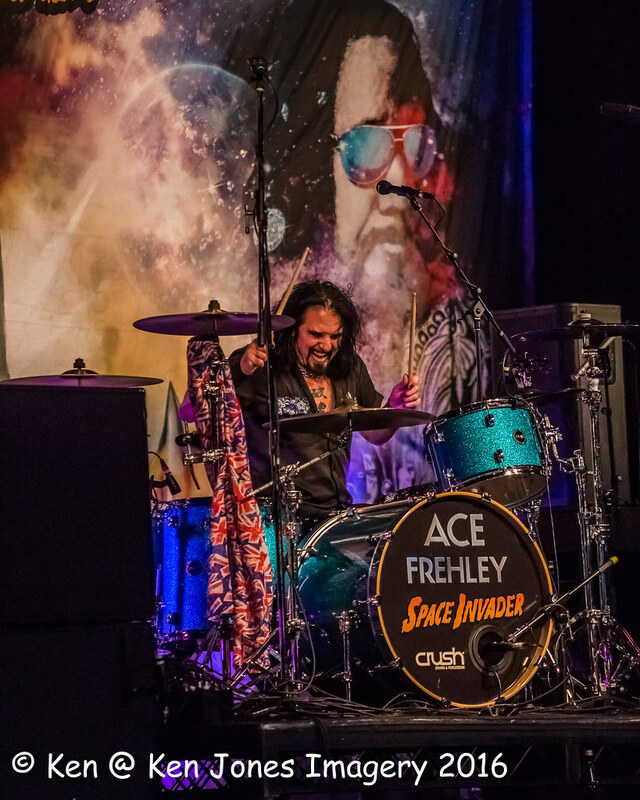 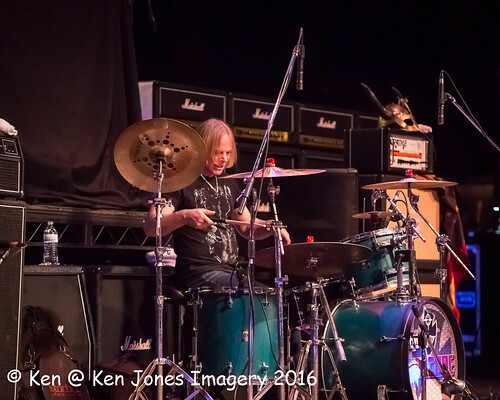 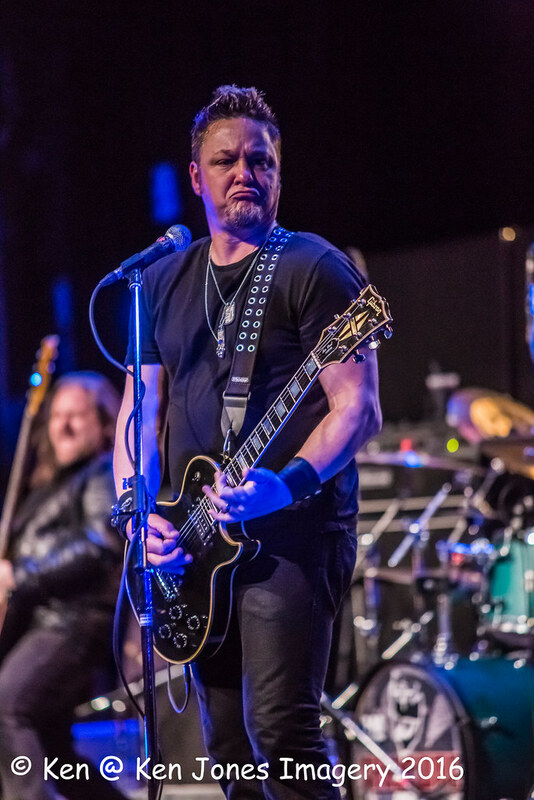 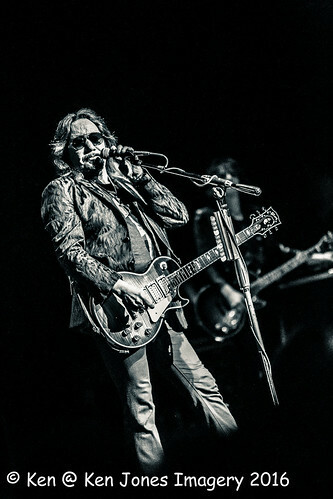 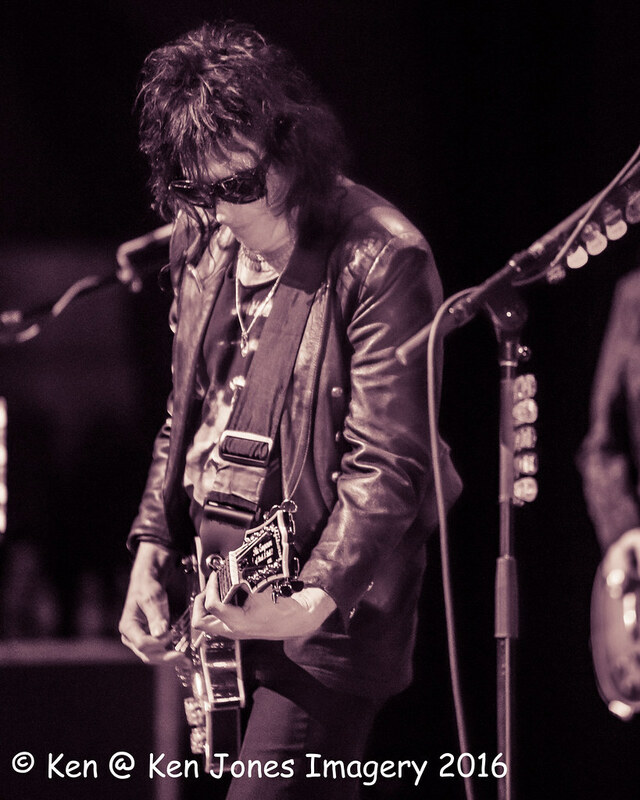 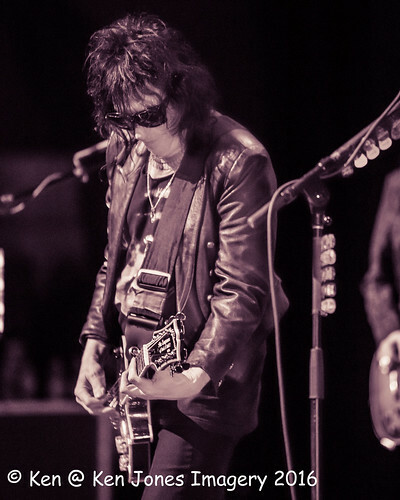 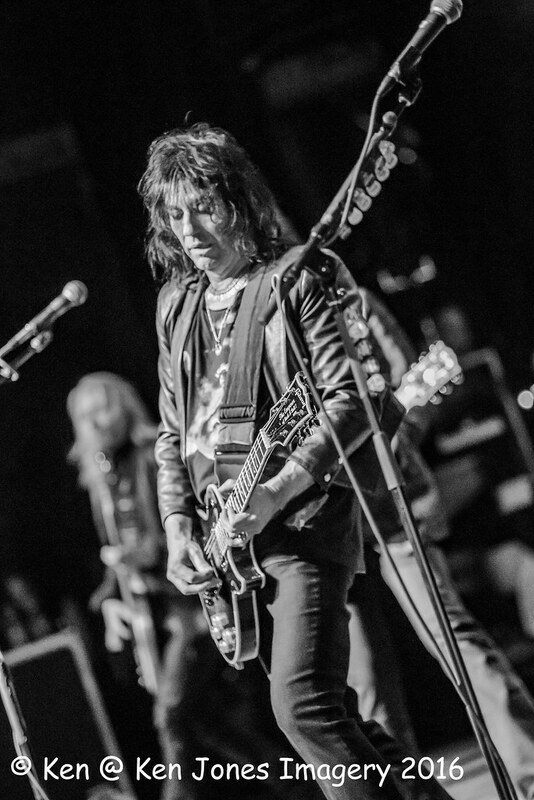 Besides a slightly shorter show – Frehley and his band never emerged for an encore despite his faithful fans’ chants for more – there was no evidence Friday night of Frehley’s medical condition. 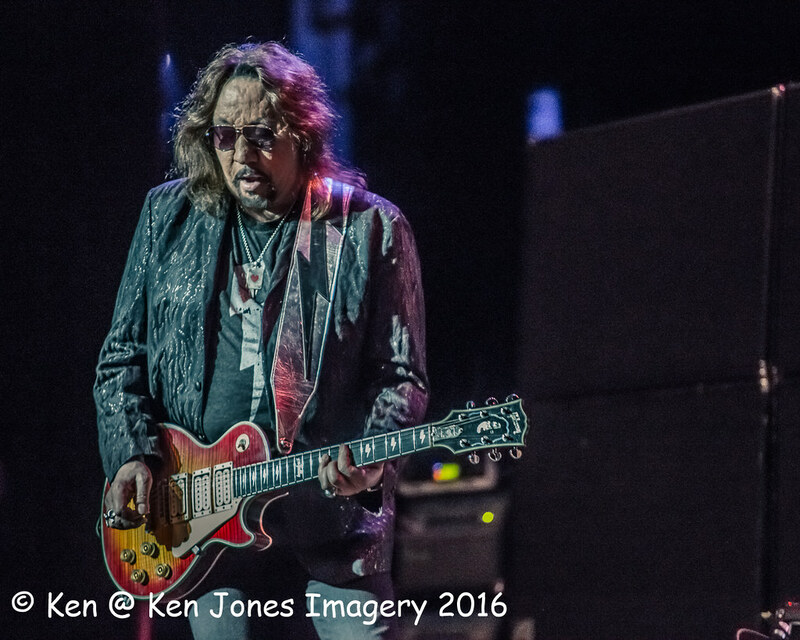 Once the house lights came up, however, a guy who was pretty close to the stage told us that Frehley looked fairly “spent” towards the end. 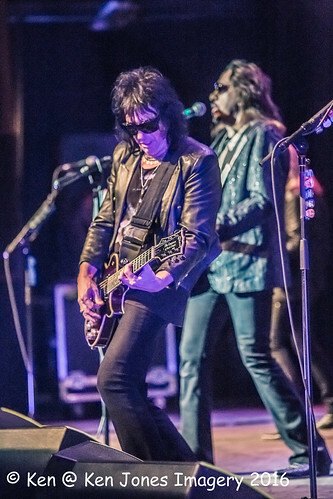 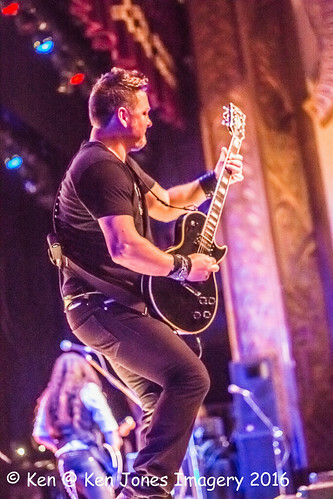 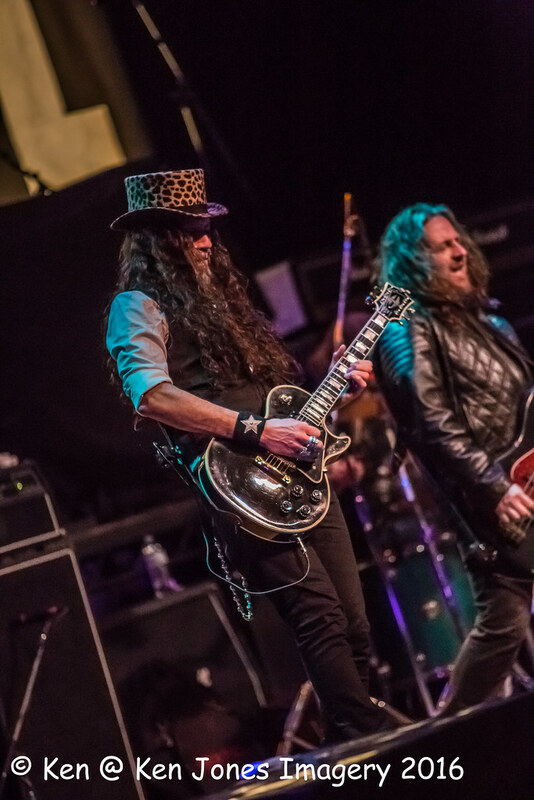 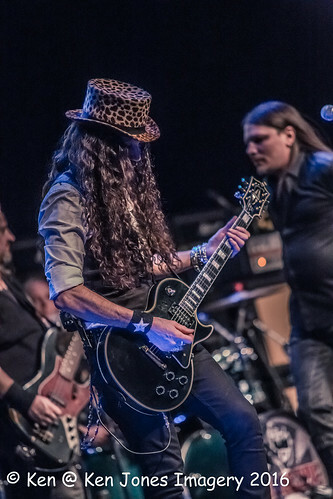 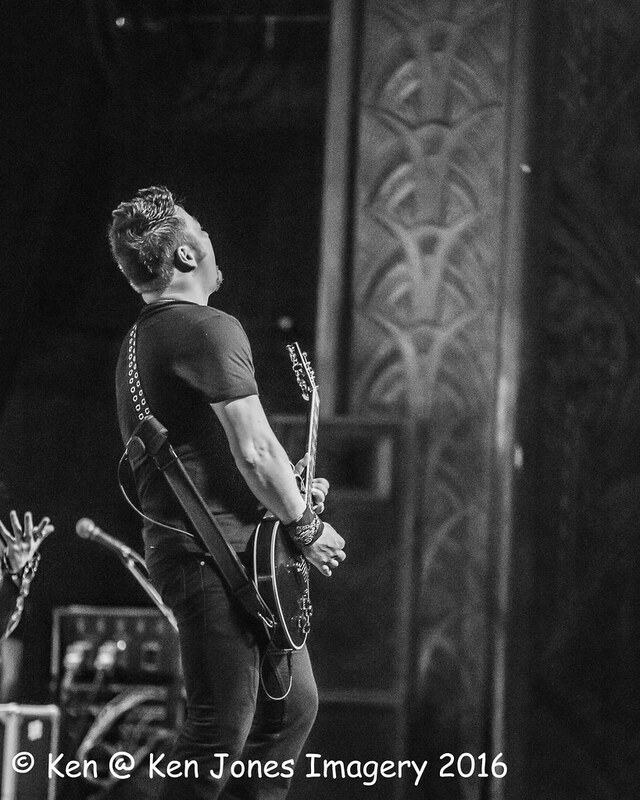 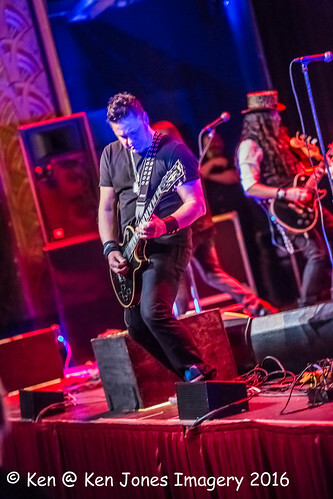 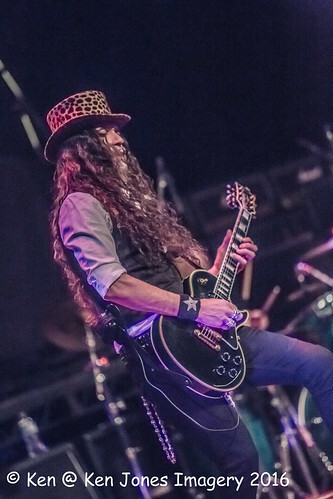 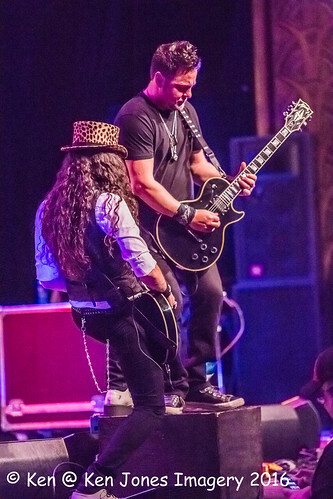 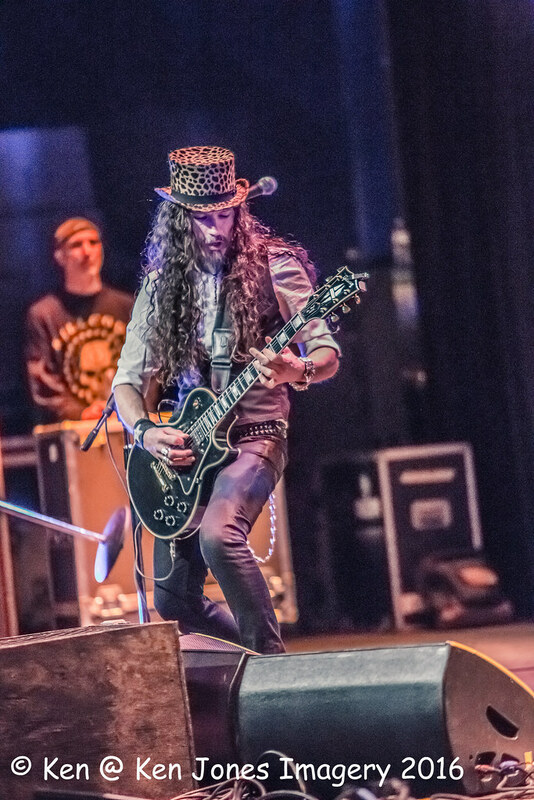 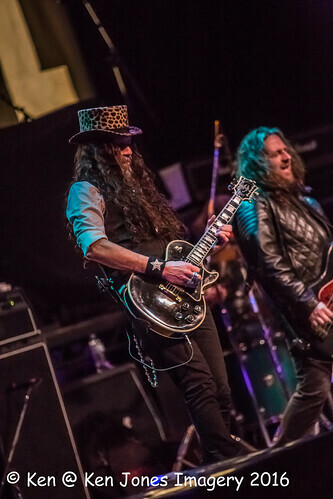 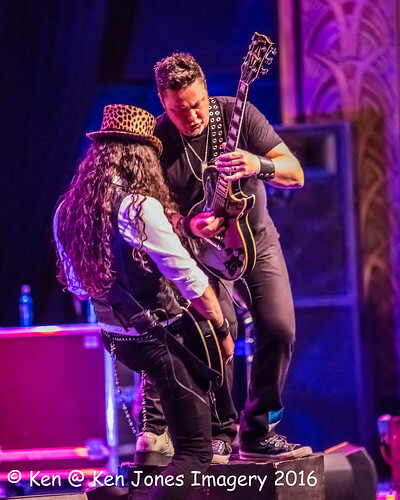 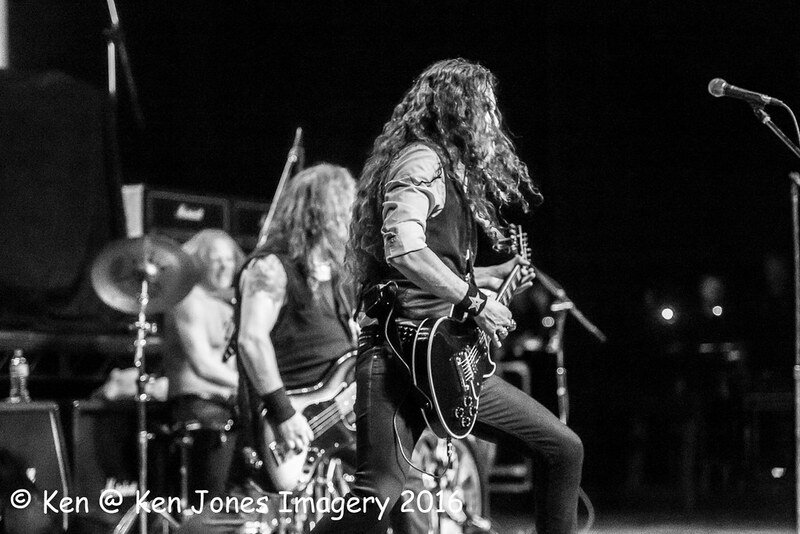 The Bronx-born guitarist is no stranger to the area, appearing in Northeastern Pennsylvania as a solo artist many times and as a member of KISS twice in 1974 at the Paramount Theatre, as the Kirby Center was then known. 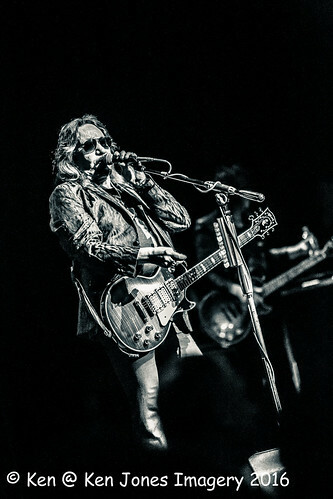 KISS also played the King’s College gymnasium on its “Alive” tour on Sept. 14, 1975. 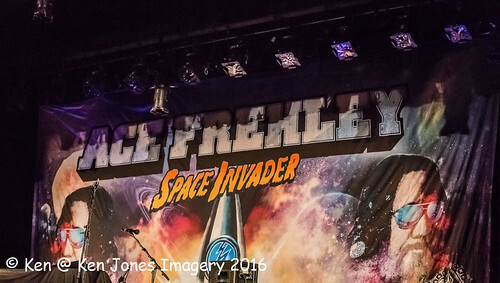 “How many of you were at the signing this afternoon? 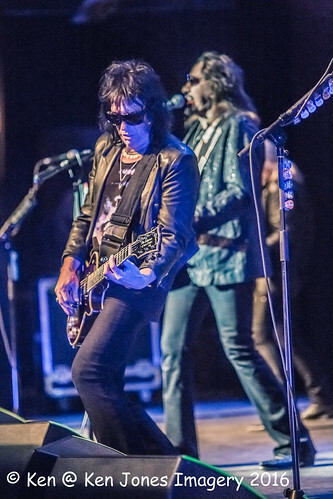 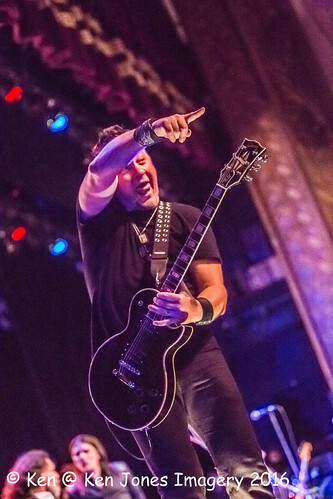 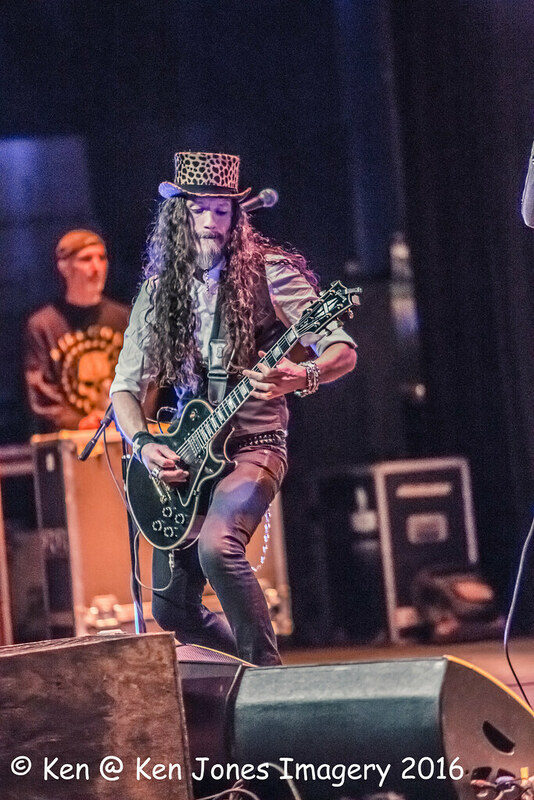 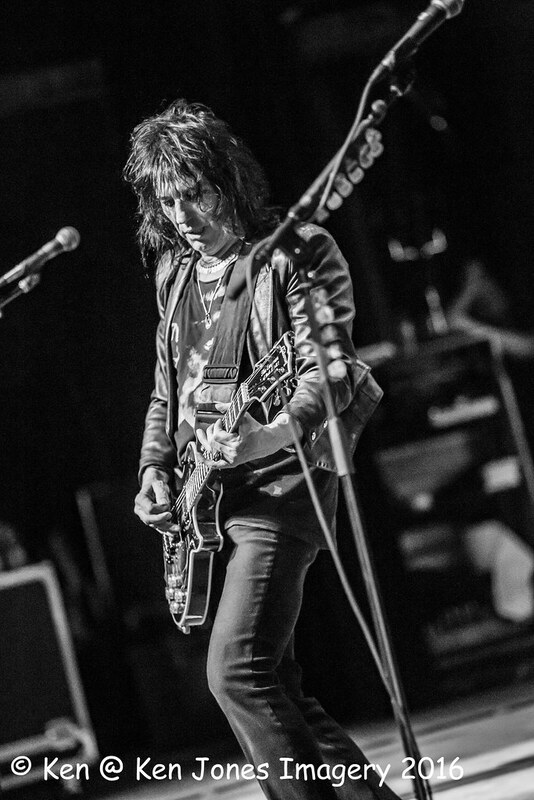 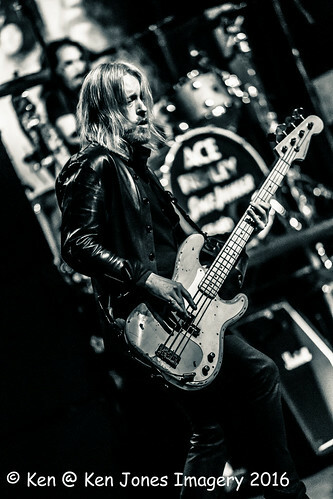 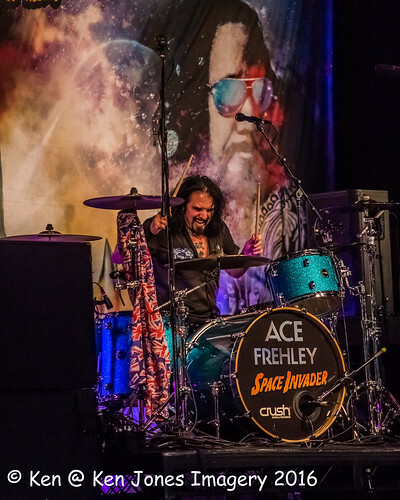 [Guitarist Richie Scarlet] said he saw me on the news,” Frehley continued, not knowing he would be making international news before the evening was over. Frehley and second guitarist Scarlet treated the crowd to a tasty version of Thin Lizzy’s “Emerald” from Frehley’s latest album, a covers collection called “Origins Vol. 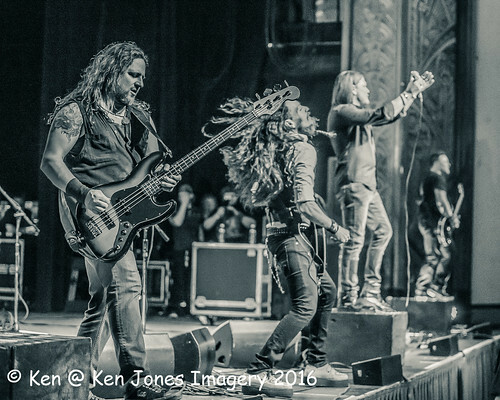 1,” which was released earlier in the day. 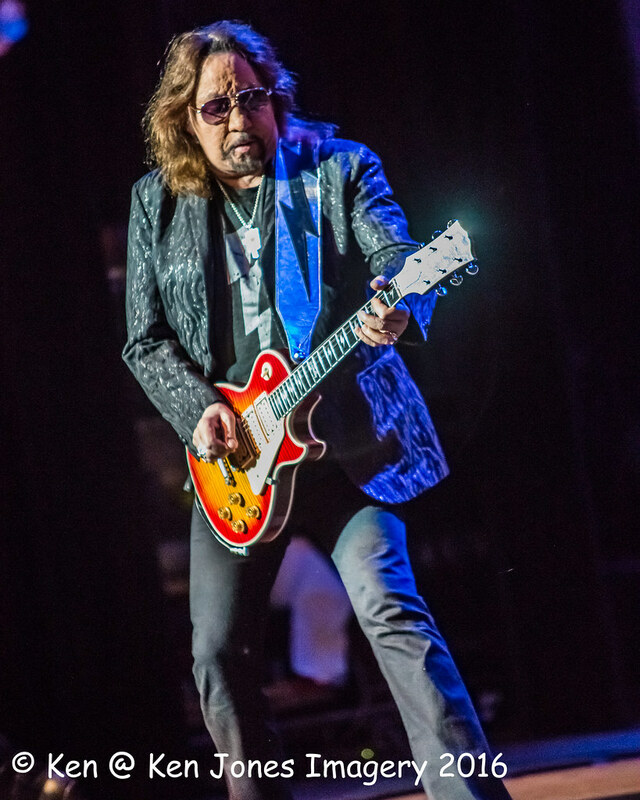 Frehley switched from his sunburst Gibson Les Paul to a sparkly silver one adorned with lights that pulsated to the beat of his 1978 solo track “New York Groove.” Scarlet followed with the 1989 Frehley tune “2 Young 2 Die,” which he dedicated to the memory of KISS drummer Eric Carr, who died of cancer in 1991. Frehley brought the house down with a solo on his famous smoking Les Paul following a fiery rendition of “Shock Me.” He then closed the show with “Cold Gin,” a song he wrote for the 1974 self-titled debut record by his former band. 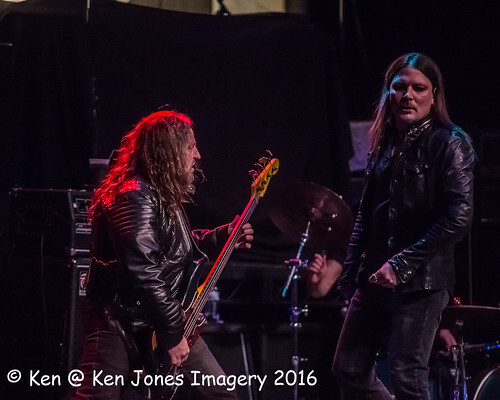 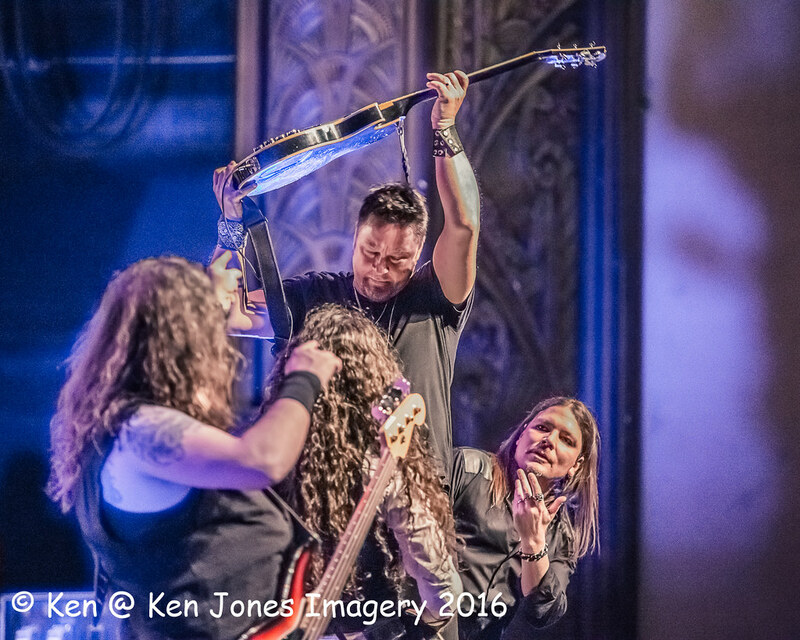 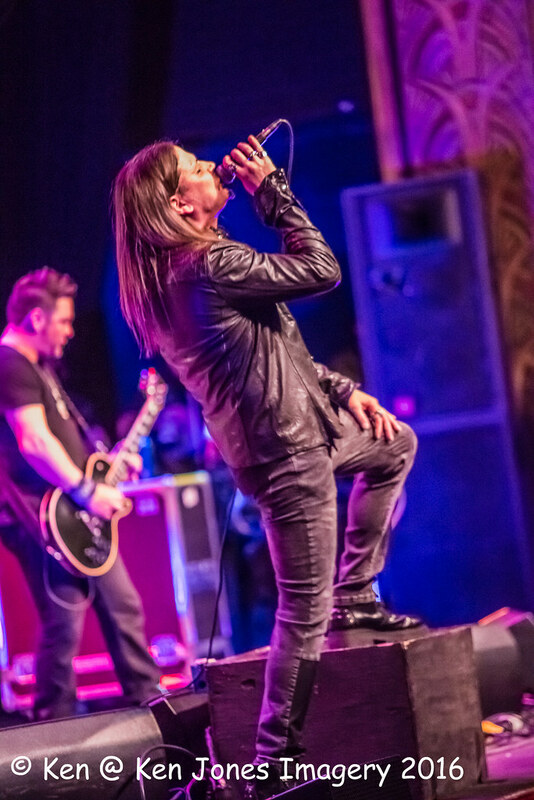 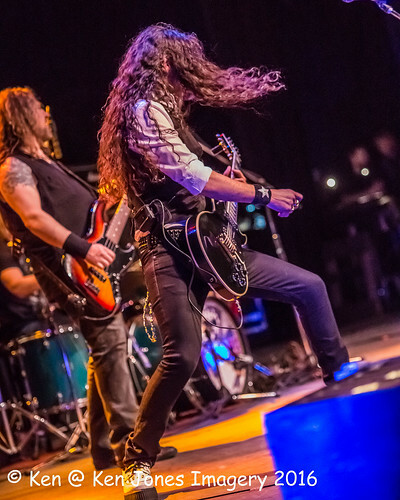 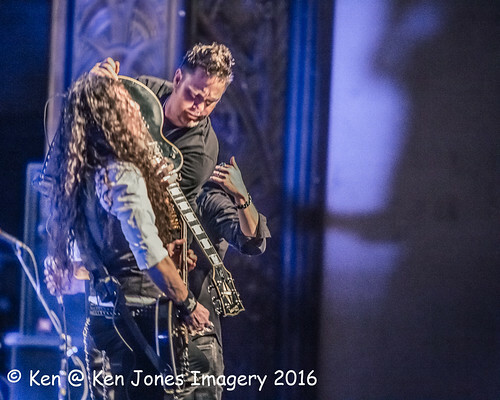 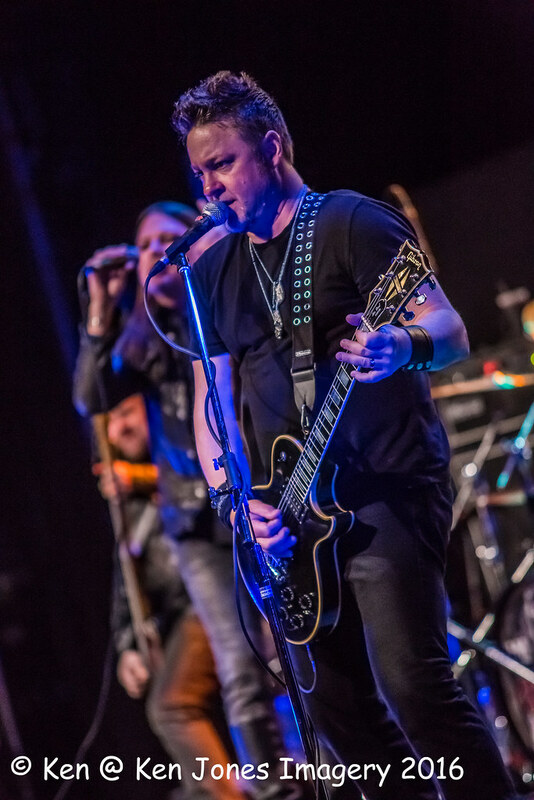 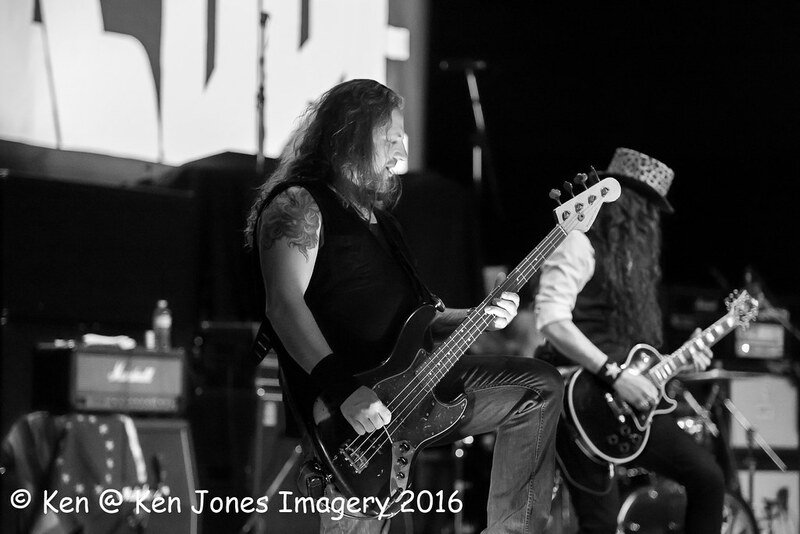 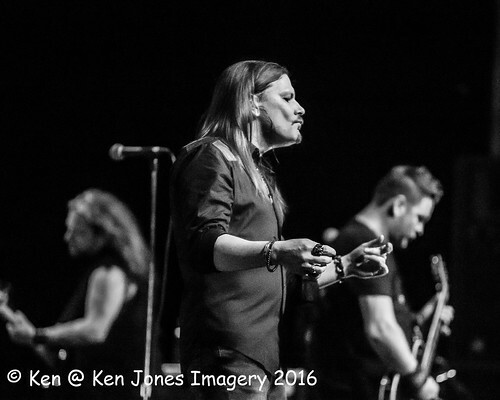 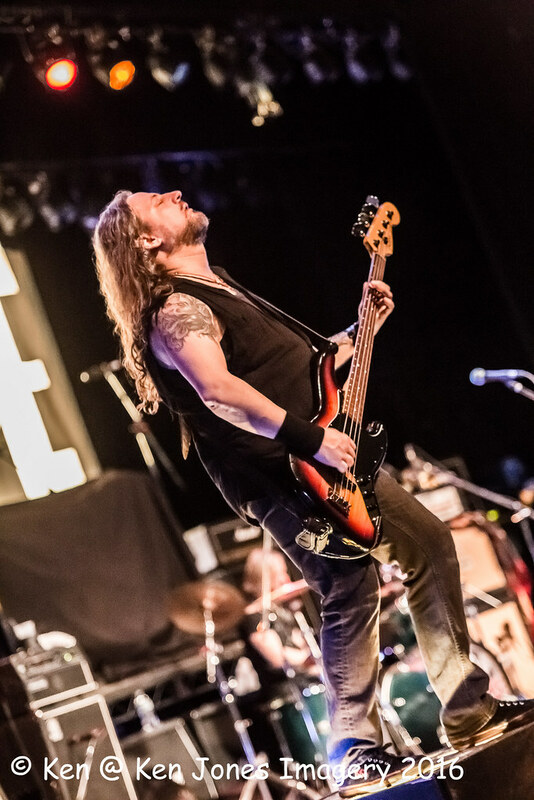 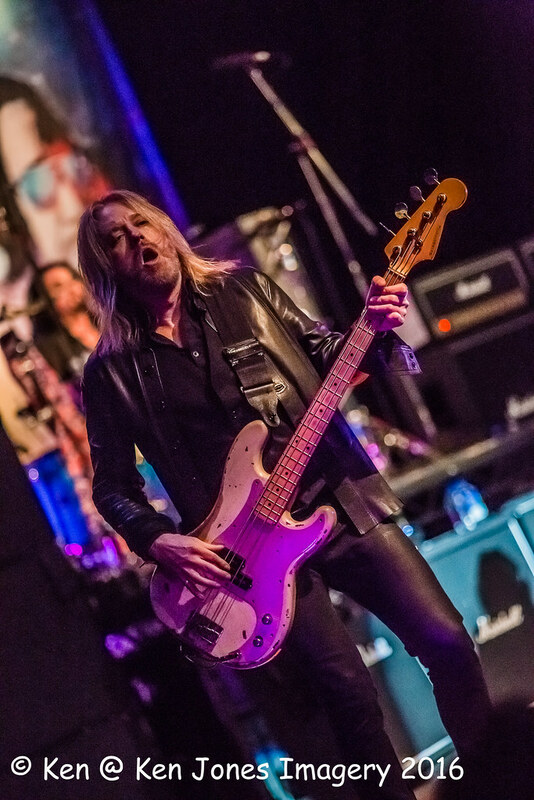 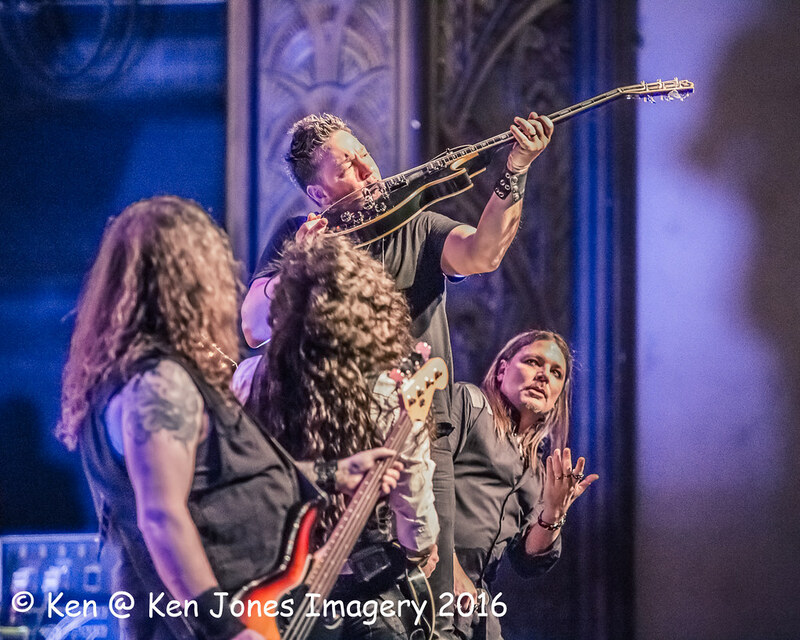 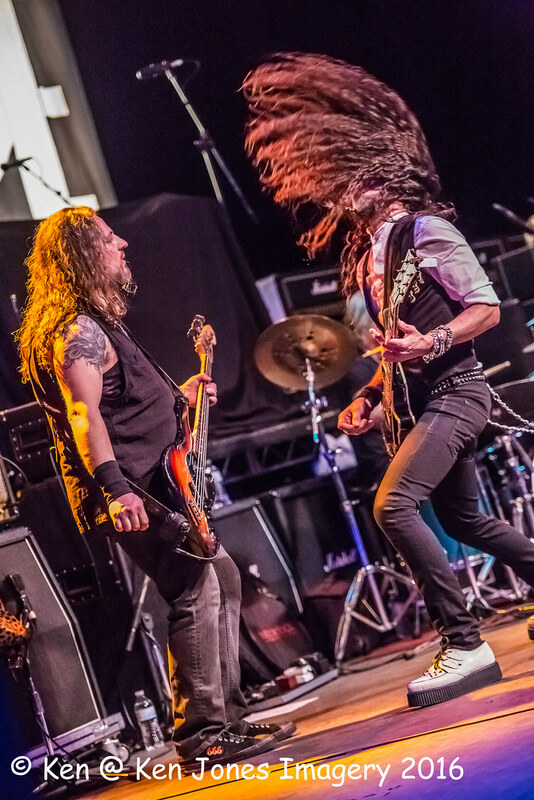 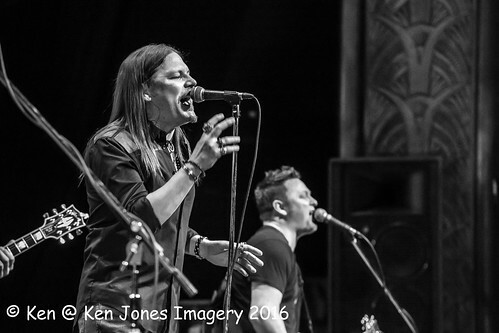 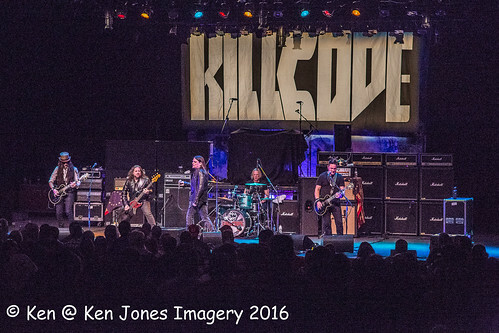 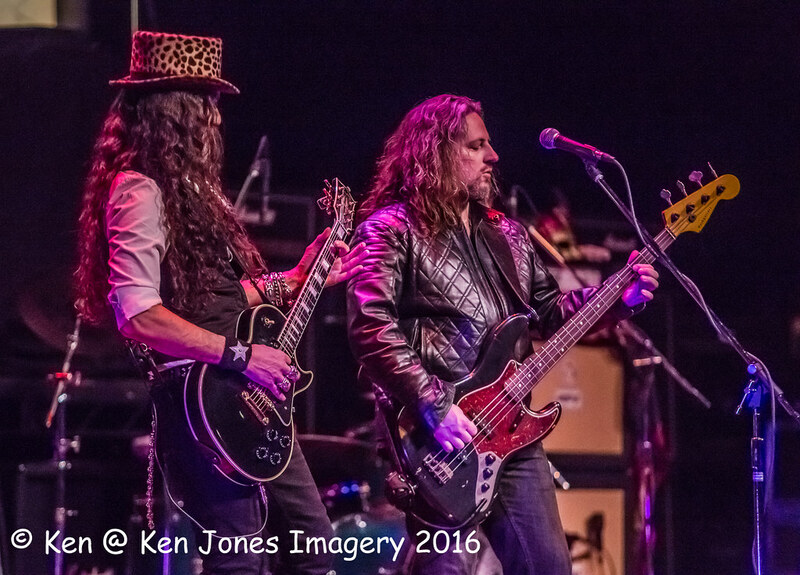 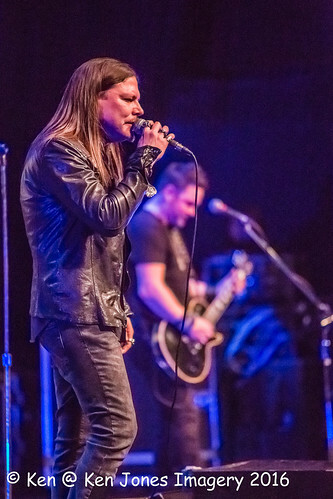 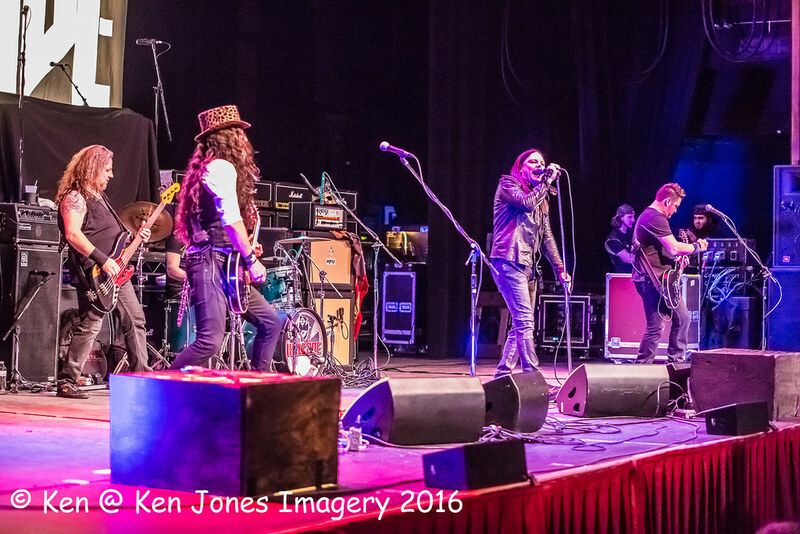 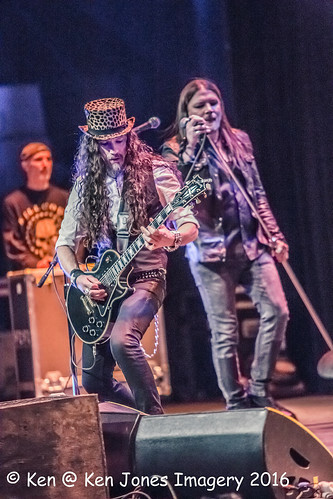 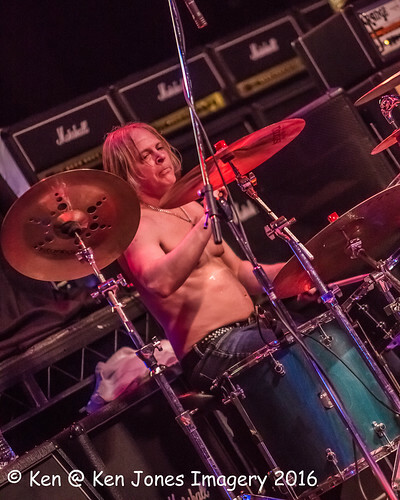 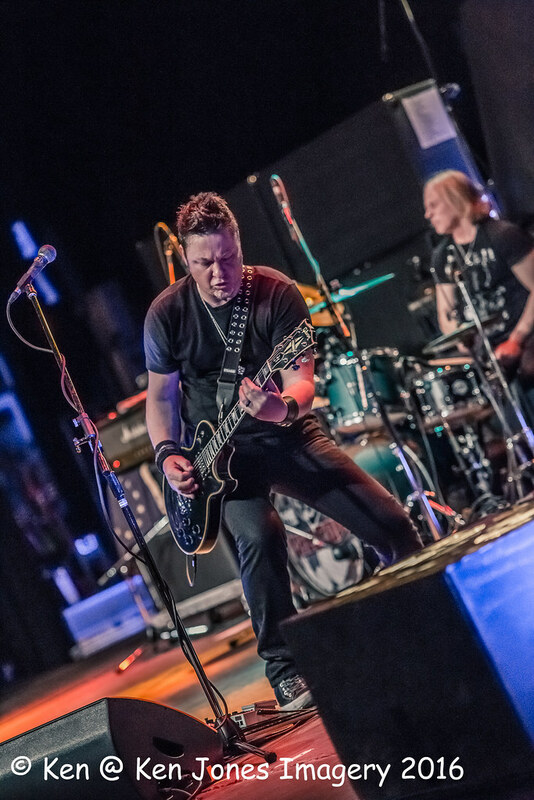 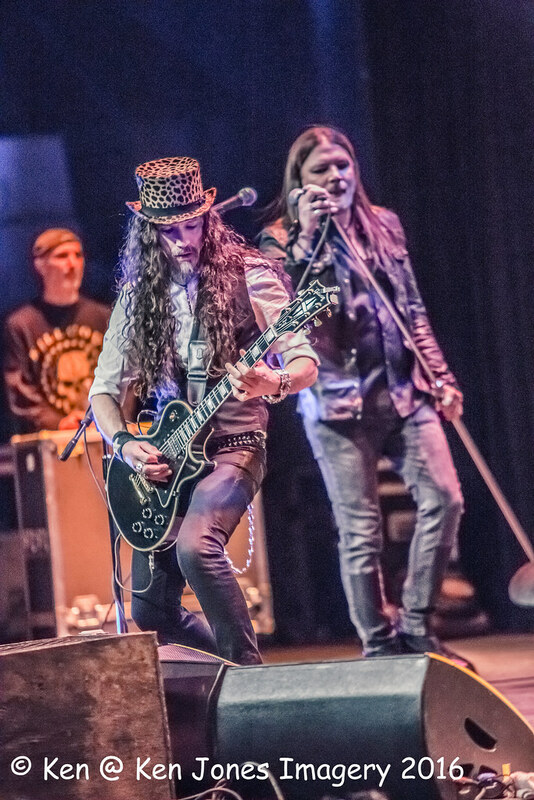 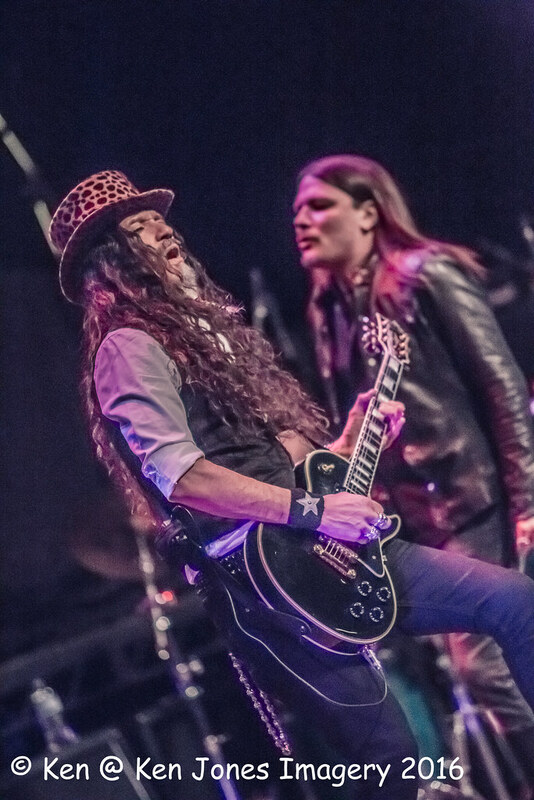 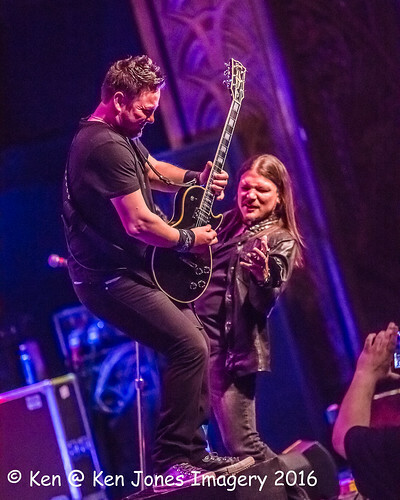 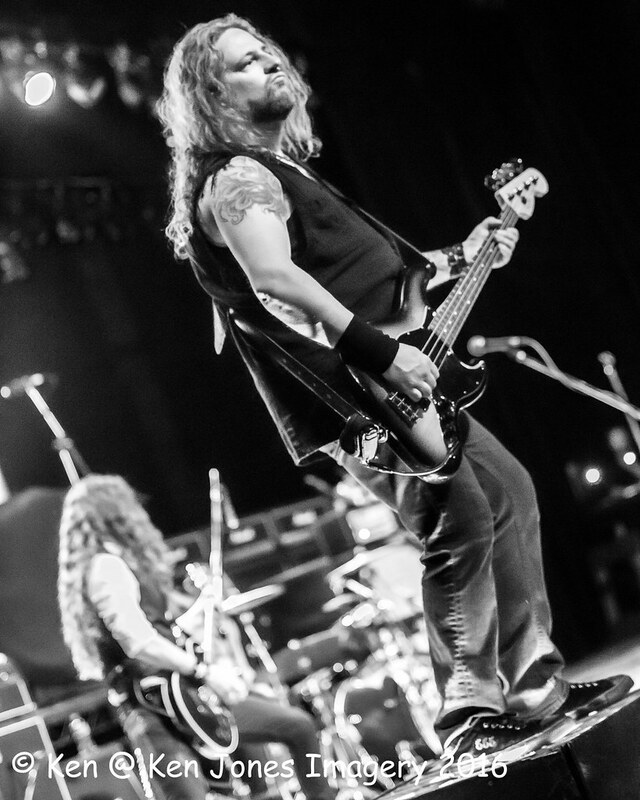 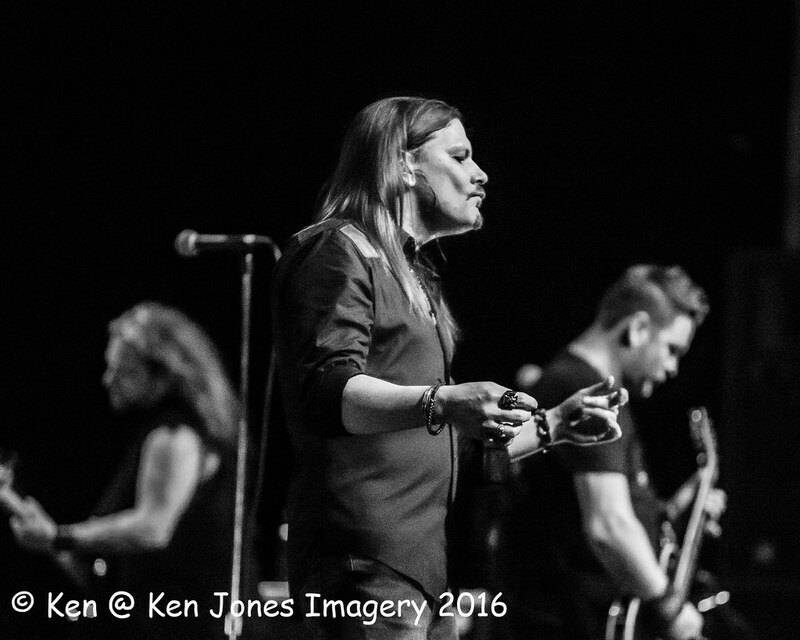 Friday’s show was opened by KILLCODE, a band based in New York City founded by NEPA native Chas Banellis and lead vocalist Tom Morrissey. 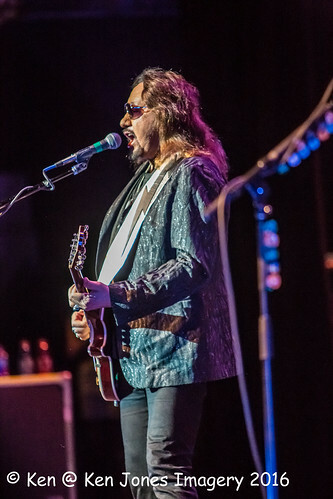 Banellis, originally from Falls, also told a story of going for a piano lesson in Pittston and noticing that the clerk was watching a show with “a seven-foot tall space alien shooting fire from his guitar” and deciding to ditch the piano and pick up a guitar. Brad has been writing about music and reviewing concerts in NEPA for nearly a decade. 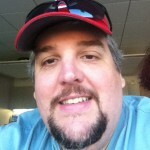 He also hosts a two-hour show on 88.5-FM WRKC (King's College radio) every Tuesday at 7 p.m. 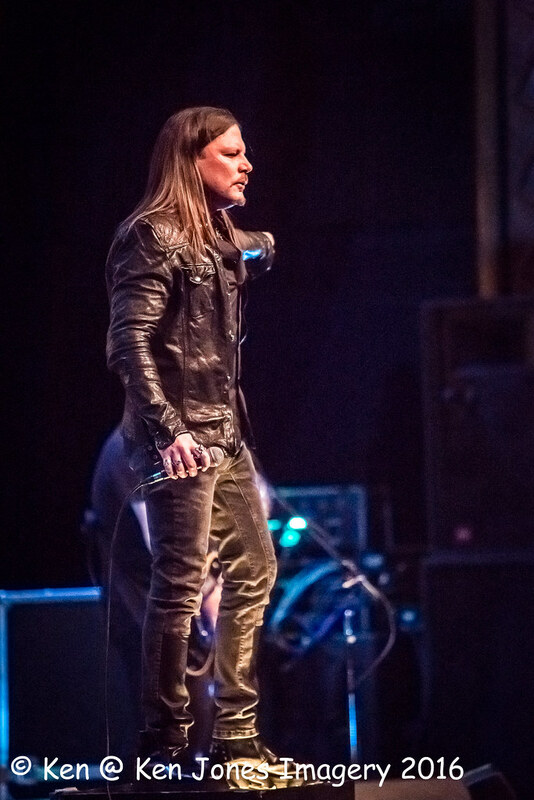 Contact him at bpattonnepascene@gmail.com.